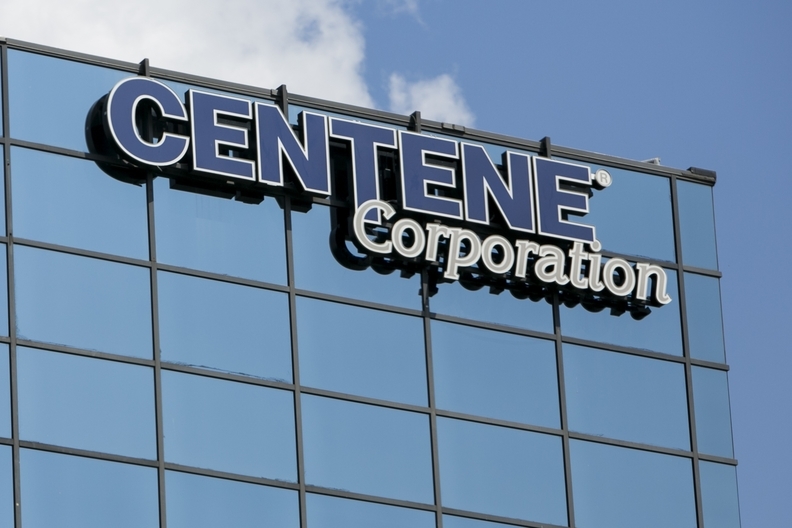 Health insurer Centene Corp. grew revenue in the second quarter of 2018 by covering more members enrolled in the Affordable Care Act insurance exchanges and expanding its Medicaid business in new states. The St. Louis-based Medicaid managed-care insurer, which has emerged recently as the dominant player on the exchanges, has been on a roll in securing new Medicaid contracts and expanding existing ones. This year, Centene began serving Illinois Medicaid beneficiaries under a statewide contract, boosting the insurer's membership 57% in the state to 330,000, with an increase over the first quarter of 120,000. It also won a statewide contract to provide physical and behavioral health services to Medicaid beneficiaries in Florida beginning on Dec. 1. Centene also won Medicaid contracts in Iowa, Kansas and Washington, which are slated to begin in 2019. Earlier this month, Centene closed its $3.75 billion acquisition of New York-based not-for-profit insurer Fidelis Care and became the leading Medicaid plan in California, Florida, New York and Texas. That deal also increased Centene's ACA exchange membership by more than 220,000 and boosted investment income during the second quarter. Centene's experience managing care for vulnerable Medicaid beneficiaries set it up for success in serving similarly low-income consumers on the ACA exchanges. While many other insurers have limited their participation or exited the exchanges because of losses and uncertainty in the marketplace's ability to stabilize, Centene has expanded its footprint and now sells exchange plans in 16 states. "We remain very bullish about the exchange business both for ourselves and also the stability of the market," said Jeff Schwaneke, Centene's chief financial officer. "So we're expecting ongoing growth in our business. We think it remains very, very stable, and we're very enthusiastic about open enrollment coming up." Centene's ACA exchange membership of more than 1.5 million dwarfs that of other health plans. Analysts often attribute Centene's success on the exchanges to its use of narrow networks that steer patients to lower cost healthcare providers. Centene CEO Michael Neidorff said Tuesday that 80% of the insurer's ACA exchange members are return customers, indicating they're satisfied with the plan. But it's also true that consumers' choice of insurers has dwindled on the exchanges. During the call, officials also mentioned that the freeze in federal risk-adjustment payments for 2019 would not increase ACA exchange rates, as was feared among health policy experts. In total, Centene posted revenue for the three months ended June 30 of $14.2 billion, an increase of 18.6% over the same period a year ago. Its net income totaled $299 million, up 18.7% over the second quarter of 2017. Revenue was driven by membership growth. Centene grew its commercial membership by 17.7% to 2.6 million, thanks largely to the 38.6% increase in its ACA exchange membership. Meanwhile, its Medicaid membership grew more slowly by 16,000 members to 7.2 million, and Medicare membership grew 5% to 343,800. Centene covered 12.8 million customers in the second quarter, up 4.8% over the same time in 2017. The insurer's revenue was also helped by $500 million because of "pass through payments" from the state of California that it received in the second quarter. Centene's medical loss ratio improved to 85.7% in the second quarter of 2018 compared with 86.3% at the same time a year ago. The company attributed the improved medical loss ratio—which represents the amount per premium dollar spent on medical care and quality improvement—to membership growth in the ACA and reinstatement of the health insurer fee.